This unit performs two main functions, Acquisitions and Bibliographic & Metadata Services. Together, the two comprise ordering, processing, and describing of materials for the collection so that researchers can find them in various database searches. Any UMBC community member can request that a book or other material be ordered for the library's collection by using the Material Purchase Request form. Please fill out the form as completely as possible. Your request will then go to the appropriate Library Liaison, a faculty member who approves or rejects potential purchases on his or her department's monograph funds. 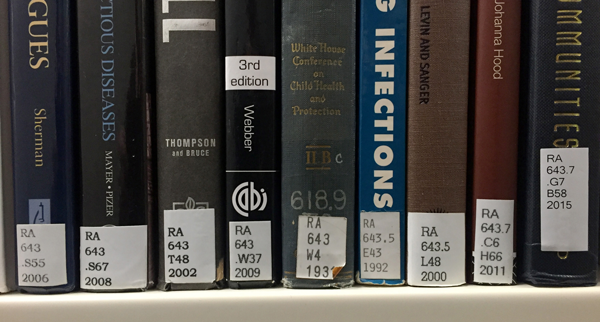 Library Acquisitions will not act until a request has been approved by a liaison. If you are a faculty member who wants to order material to be put on Reserve, please submit your request through the UCORES system. Library Circulation or Library Media staff will submit necessary orders to Acquisitions. Want more info? Read the FAQ on Requesting Library Materials. Each academic department appoints a Selector or Liaison, who selects and orders library materials in support of the curricular and research needs of their department. The liaison approves all book and media requests placed by or for their department, and monitors his or her department's spending. Selectors GOBI Login - GOBI approval plans are a quick option for ordering. For more information, contact Drew Alfgren at 410-455-3608 or at alfgren@umbc.edu. Want more info? Read the Liaisons' FAQ. Bibliographic & Metadata Services creates and maintains catalogusmai; provides leadership in the organization of the Library's collections; maintains the Library book collections in good physical condition within the constraints of our resources for preservation; and manages daily operations of the Library's integrated system.